A couple of days ago a girl stopped me and talked me into getting my first henna tattoo. 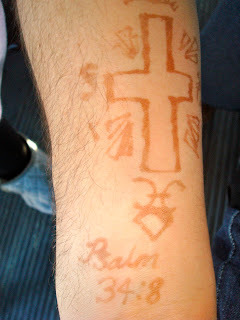 Mind you this was a Christian tattoo; she sketched a cross on my arm and asked me which scripture I wanted. I hastily blurted, “Psalm 34:8.” Later that night I looked up what I thought was the scripture and it read, “My guilt overwhelms me!” Henna tattoos don’t come off for a couple of weeks, so I joked with my friends that I was stuck with this guilt tattoo! Maybe right now you are far from God. Maybe there’s something from your past holding you back from accepting the love of God. The enemy is called the “accuser of the brethren” because he wants you dwelling on your guilt rather than the grace that God has freely given. 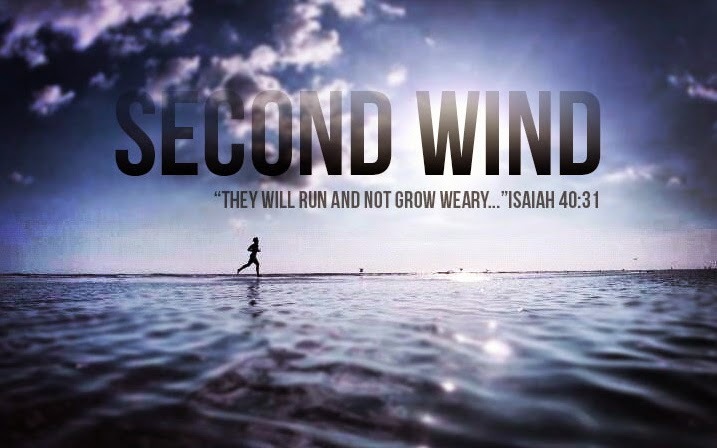 The scripture says, however, once you have repented of your sins then “There is no condemnation in Christ.” Jesus died for me and for you so that we could put our guilt and shame behind us to simply accept God’s gift of grace. Jesus is the gift—his death, burial, and resurrection—and this sums up the gospel. The other day I read through Psalm 34 to figure out the context of verse 8, and to my surprise I found that verse 4 was actually, “Oh taste and see that the Lord is good.” Tired that one night, I had seen my henna tattoo all wrong, jumbling up the numbers to look up Psalm 38:4 (“My guilt overwhelms me”). Once my perspective changed then I could also change.